Have you ever watched a friend or family member sabotage their own lives? You watch from a distance and perhaps even try to help them avoid the certain collision, but to no avail. Why? Because the person can’t see what is about to happen. That’s the key phrase in that component. And we have all been in that place at one time or another in our lives when we thought we could see clearly but couldn’t. Why is it easier to see into someone else’s life, but not clearly into our own? Let me share with you the most important prayer you can pray for yourself. I remember when Kevin and I had been serving in China for already five years. We had been promoted to national directors by the organization we served while simultaneously also serving as city directors in the area where we lived. It shouldn’t have come as a surprise when we endured some severe attacks against us both as leaders and personally. What was unfortunate is the attack was started by members of our own team who, we learned later, were jealous that we had been promoted to be the leaders and not them. We certainly weren’t perfect leaders, but the rumors spread about us were shocking. The result was an uprising and split in our group as several believed the vicious words that were spread in jealousy about us. Kevin and I just shook our heads in amazement. How on earth could these people we served with believe such horrible things about us? And yet, many did and then erupted in anger. In the end, the Board of the organization flew in to resolve the issue. They met with members who had gotten caught up in the division. As they gently explained to them that they had been duped by the lies to join the uprising we saw two responses. Those who repented and apologized and those who doubled down in their offense. “Well, how could we have known it wasn’t true,” one woman stated in anger refusing to back down an inch. Even after she was told, she refused to believe. We watched as those who humbled themselves to understand truly began to see and the veil and anger left. Those who remained in anger and pride remained angry and eventually left the group. The Bible is very clear that in the days which we currently live that deception will abound. “For false christs and false prophets will rise and show great signs and wonders to deceive, if possible, even the elect.” Matthew 24:24. I have heard people say, “I can’t be deceived, because…” Let me just say, that is the very attitude that reveals deception. The nature of deception is we don’t know we are deceived. So what can we do? I have learned to pray this often. Why? Because we don’t know what we don’t know. 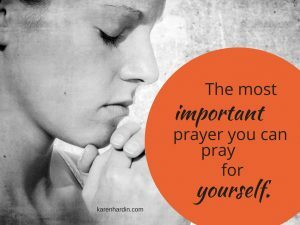 It was the most important prayer i could pray for myself—only I didn’t recognize it at the time! It took about three months, but slowly I began to see the things that had been hidden. The things that had angered me in the past, I now saw through a different lens. It wasn’t something I did, it was simply allowing God to give me a new perspective—because I humbled myself and was willing. This isn’t about politics. It is about our lives. This is just one example. But deception can cloud our view of reality at work, in our families, as we launch out to do something new—or old. Anywhere. We live in a day in which deception is rampant. 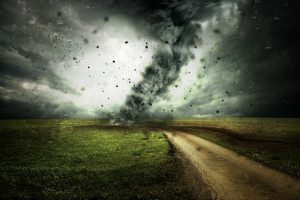 It comes through the door of pride (a strongman) and the problem with pride is, like the Pharisees, we don’t realize we are in it—sometimes up to our necks. The question is once revealed will we humble ourselves or will we double-down in our stand?